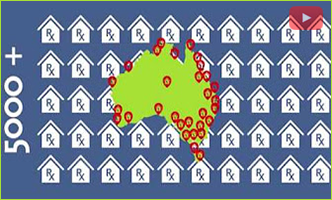 iTherapeutics is pleased to offer you the opportunity to disseminate your product education programs to Australian pharmacy assistants and pharmacists via the iTherapeutics online education portal. This unique education portal, directed by UnityHealth and its expert consulting committee, can add significant value to your existing product education for pharmacy, with minimum financial outlay. Get all the facts and discover all the benefits of promoting your brand and products on iTherapeutics. When it became necessary to create a new training module for LivaTone liver tonics, we were recommended to use iTherapeutics by industry contacts and Im very glad we took that advise. The team at iTerapeutics exceeded my expectations with their expertise for creating an intuitive, easy to navigate presentation from the data we supplied. Recommendations from iTherapeutics during construction assisted enormously in delivering an effective training module which attracted over 1,000 trainees in a very short time which exceeded all previous levels. Ongoing regular feedback and recommendations from iTherapeutics has allowed us to adjust the presentation to further improve outcomes. I would, and do, recommend iTherapeutics for creating and hosting profession training presentations for the therapeutic goods industry. Mark Shaw Publishing and Media – Cabot Health. For many years I have found it difficult to evaluate the reach and effectiveness of our pharmacy training programs. Our product has been unique to the Australian market so an understanding at store level of how it works and who may benefit from it was essential. I have been impressed with itherapeutics from the beginning – the feedback from our education module has been exceptional, the numbers undergoing training has surpassed our expectations, and the reporting has been superb. All my dealings with the itherapeutics team have been timely, professional and courteous. Thank you all for your hard work! Sheena Cole Director – Allergyfree Pty Ltd.
We've been using iTherapeutics for almost a year, because we thought they could play an important role in our introduction into the Australian market, and we were right. Thanks to iTherapeutics we've trained more than 1.000 pharmacies in less than 6 months, and we can tell that pharmacy staff are understanding our message. What we weren't expecting was such good service and high-quality work from the team at iTherapeutics! Thank you guys for everything and congratulations on a job well done! Felipe Errazuriz CEO – Garden House. Through all of my correspondence with UnityHealth I found the team to be extremely professional and efficient. Producing the training modules was a very organised and easy process right up to launch. I have utilised iTherapeutics to launch training modules for two of my pharmaceutical products to date. The online training module was an ideal way to reach a large number of pharmacy staff nationally, as it is both timely and cost effective. I have experienced fantastic results, with very impressive completion numbers for both of my training modules, so much so that I am launching another product next month. I would highly recommend iTherapeutics to any company wanting to train pharmacy staff. Sian Paterson Brand Manager – Probiotec Limited. The iTherapeutics website, has proven to be a most effective and efficient means of accessing and educating Pharmacy Assistants and Staff on our product offering. The Training Module system is now entrenched as a vital element of our Brand positioning and recognition, and the Team at UnityHealth have been tremendously supportive in developing and moulding Training Module's that are informative, interactive and enjoyable to undertake. We congratulate them on their professionalism and insight into a medium which is in tune with the needs of us as a manufacturer, and our Retail partners. 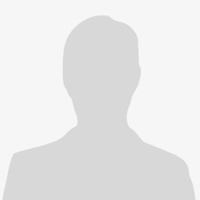 Phil Lane Marketing and Sales Manager – Healthcare MG Nutritionals. As you know it is very difficult to train pharmacists and pharmacy assistants in their retail stores. There are continual interruptions and you often need your representatives to do 3 or 4 trainings per pharmacy. Inovail has been working with UnityHealth using iTherapeutics for 18 months and the results have been very encouraging. We know who has been trained, the results are validated and the reporting system is invaluable. If you are looking for a better way to train the knowledge hungry pharmacy personnel you will go a long way to find a more effective option than UnityHealth. Tony Moore Marketing Consultant – Invida. Just a quick note to inform you that having reached retirement age I have taken the plunge and have in fact retired. I would like to send a huge thank you for the assistance this training site has given me for keeping my old head in front with so many new products. I appreciate the recognition of my efforts and being a gold member was a bragging point . I will now have to find other ways to keep the grey matter alive yet look forward to my future without a schedule. Once again Thank you. I have been doing modules on iTherapeutics for a number of years and I have always found the module's informative and interesting. The modules challenge you, yet after you have completed a module you definitely feel you understand the product that was introduced within the module. I am also a member of the Pharmacy Club, unlike the iTherapeutics these modules are easy and feel like you could almost do them with your eyes shut. The reason being when it comes to answering the questions at the end of the module it allows you to continue to pick answers until you choose the right answer. So you really don't need to do the module to gain the points you could just go to the end and do the quiz. That means you really may not learn at all about the product in the module. One of the main reasons I do the Pharmacy Club is for the points so l can get gift vouchers or movie tickets for the point that l have gained doing the modules. I am so happy to see that iTherpeutics have introduced the same idea now. This means l will be rewarded for all my hard work which is great. I found the iTherapeutics modules to be very informative as they provided me with a comprehensive knowledge of the products mentioned. The variety and standard of information is fantastic. I felt more capable of being able to discuss their products with my clients afterwards as a result. I like to remain up to date in the health field – and this site has helped to do just that. I also appreciated the convenience of being able to complete the modules in my time – as it's rare to have the time to do so at work! I would definitely recommend others to take part in this program. Lisa Denny Nutritionist and Naturopath, NSW. I think society as a whole is very busy these days, but when we take the time to learn more about our field, we are naturally more confident at work and, again, it makes work more fun! In pharmacy, there is always something new to learn!!! The iTheraputics modules are very interesting - touching on points I couldn't otherwise learn at work. I like choosing what I want to learn by picking from the product directory or the education modules. The video modules are very nice and entertaining. The questions at the end of modules are super - they aren't too difficult but they encourage you to pay attention because some are tricky. I especially like the ones that explain the answers - meaning if you get the question right or wrong, the company takes the opportunity to once again explain their product - this is quite helpful. Keeping track of my progress and being able to submit a certificate of completion to my bosses is a very nice perk. This indicates to them that I am working hard to better my knowledge for work by taking my own time to seek product education. The contests are super! I think they inspire many because there is a very good chance that one could win. The iRewards are wonderful - definitely encouraging me to keep trying to get to a higher level. Thank you for designing a useful, interesting, fun and exciting (one could win a prize!) website designed to further my education and better my job performance as a pharmacy assistant! !